On-Demand, Enterprise-Class VPS Solutions | "Be Online"
Flexibility, security, scalability: There are a lot of reasons to choose a Virtual Private Server solution. And with HostSEO, it’s easier than ever to set up and deploy the right, best-in-class solution for your applications and your business. HostSEO VPS Server ensures the security and availability of your mission critical data. Optimal for high performance infrastructures, business critical workloads, specialty hardware or configuration requirements, governance or regulatory requirements. 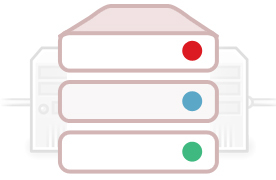 All servers tailored to your business. Comprehensive control, isolation, and privacy. Virtual servers hosting solutions from HostSEO are fully customizable. Upgrade the hardware, change the software or even stipulate the level of managed services. Your servers are guaranteed to be online, secured and ready for use in three hours, with an average time of 60 minutes.